Raise Money and Make an Impact! Encourage your neighborhood, school, church, temple, mosque or other faith organization to consider becoming involved collectively. Contact us and we will harness your energy. Host a yard sale. Make bracelets and sell them. Host a house party…. Or donate here online today. 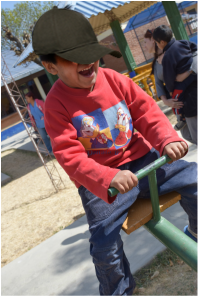 With your help we can meet our goals and give the kids at Salomon Klein the resources they need.